When starting up new companies, Los Angeles and Southern California business owners and entrepreneurs often rely on a Certified Public Accountant (CPA) to handle their finances and prepare and file their business tax returns. Using a CPA to handle these tasks may work for a while, but as a business grows, the complexity of the financial issues, strategic planning, internal reporting requirements, and taxes often goes beyond the capabilities and time commitment of the CPA. A CPA is well qualified to prepare business tax returns and financial statements in accordance with generally accepted accounting principles (or GAAP). However, these tasks involve working with historical data, or things that have happened in the past. Next-level financial and strategic planning is forward-looking — it involves forecasting and planning for the future of the business. This kind of planning and strategizing usually requires a higher level of financial and operational skill. Have You Outgrown Your CPA? § A lack of forward-looking strategic planning. § Absence of or inaccurate or inadequate cash forecasting and budgeting. § Inability to properly manage cash flow and deal with cash shortages. § Absence of or inaccurate or late internal management reports. § Business stagnation and lack of growth. § Poor management of customer relationships. § Poor management of HR, IT, payroll, banking and other vendors and outsourced service providers. These negative outcomes, in turn, can lead to poor business decisions on the part of owners and managers, unnecessary expenses (including debt), potential legal battles, the inability to raise capital when it’s needed, and the eventual loss of key vendors and even customers. The problem for many growing firms is not that they don’t recognize the need for next-level financial and operational expertise. Instead, they cannot afford to hire this kind of expertise in the form of a chief financial officer (CFO) on a full-time basis. needed to help grow your business to the next level. By working with an outsourced CFO, you can obtain high-level knowledge and expertise without paying a six-figure salary and benefits package. § Sophisticated finance tools like cash flow statements, forecasts and budgets. § Detailed monthly financial statement variance analysis. § Reporting and analysis of key performance indicators (KPIs) and benchmarking of your KPIs against industry averages. § Negotiation with funding sources (including banks and venture capitalists) to help raise needed capital. § Creation of company-wide policies and procedures. § Evaluation and implementation of effective internal controls to deter and detect embezzlement. § Supervision and management of finance and administrative staff members. § Expense reduction initiatives to boost your bottom line. § Training of owners, managers and staff to perform certain finance functions themselves. Working with an outsourced CFO will provide you the level of financial and operational expertise you need to grow your business to the next level while giving you the flexibility to utilize his or her expertise on an as-needed basis. This makes hiring an outsourced CFO an affordable and smart option for most growing businesses. Using a CPA to handle finances and prepare tax returns may work for a little while, but as your business grows, the complexity usually goes beyond the capabilities and time availability of a CPA. To take your business to the next level, you need to realize when you’ve reached the point where you’ve outgrown your CPA. 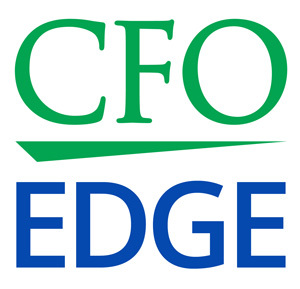 By working with an outsourced CFO services provider, you can tap into the expertise of a formerly seated CFO on an as-needed basis who can provide the level of financial and operational assistance needed to help grow your business to the next level.